So, I just watched Fate/Stay Night Unlimited Blade Works for the first time. Archer is basically Shirou in the future of an alternative universe, right? In the anime, Shirou mentions multiple times that he loves Rin or that he has strong emotions for her, at least. So why does Archer seem to be so "cold" towards Rin? I mean, technically, should Archer have had emotions for the Rin in "his reality" or not? What happened to her? 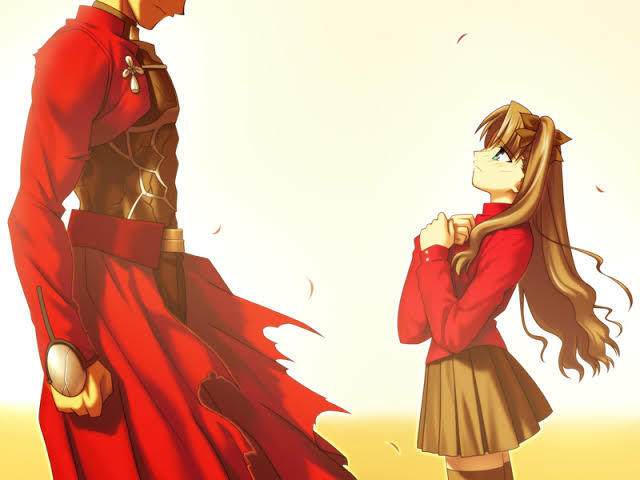 I've watched both series and came up with the conclusion that Archer in the UBW is actually Shirou in the original Fate/stay night (the one that in love with Saber) because Archer in UBW actually tried to scold Saber as Rin was telling him. Also, he knows what Saber really motives for the grail, which Saber from the UBW did not tell Emiya. So, in other words, UBW is not actually a route, but it is sequel for the original Fate/stay night. I think there’s a lot of hints that Archer actually cares about Rin and they’re bound to one another but not as a lover or romantic kind of love. It’s more like loyalty. He respected her as a servant respecting his master. The most remarkable moment I’d say is that in Episode 9 of ss2. Archer after was convinced by his old self,Shirou. And was beated (not physically but mentally) he then said “If she(Rin) was more of a heartless person, I’d not turn back to be my old self (who believes in Hero of Justice)” Hence, Tohsaka Rin plays huge part in Shirou development as a person and also as a human being who believes in his ideal heroism. Archer isn’t cold to Rin if you watch the anime carefully, he just has ‘Kill Emiya Shirou’ as his first priority. To do so, he can’t let Rin help Shirou gets Saber back and remains the alliance between them. After his betrayal, he still protected Rin for multiple times. Making conditions with Caster, Shinji and Gillgamesh to postpone Rin executions. Though, if I were to say, it’s not like there’s completely non-romantic moments of them. Sometimes Archer seems to attract Rin passionately by his sly personality and his looks as well. 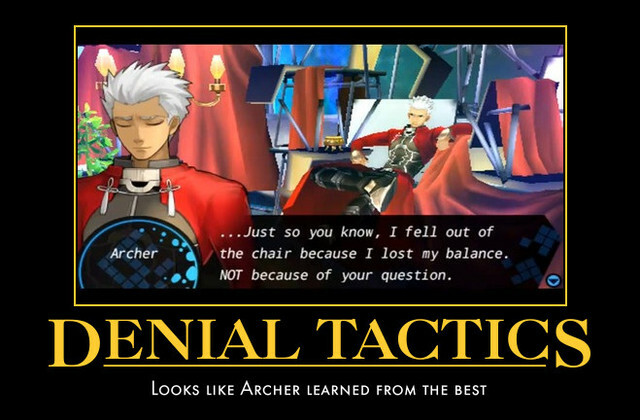 In fact, the reason why Archer doesn’t show any fascination towards Rin that much because 1. She’s 16-17 years old Tohsaka Rin, it was mentioned in both VN and Anime that Archer sees Rin as a child/ girl only. Not as a lady. 2. She already has the Shirou that is his present version beside her. It’s kinda weird to start Romance with your young master when your old self is already in love with her. Not to mention Archer has already decided to erase his existence by killing Shirou so why bothered? If he has feelings for Rin, it must hurt and is hard to leave without regrets. So... yeah. I believe feelings for Rin were shown throughout the UBW route. Archer is cold to everyone, he tries to distance himself from others. Out of everyone in the entire anime, Archer has the best grasp on reality. He obviously respects Rin and cares for her. Usually I would judge these feelings as respect for your ally, and maybe even a friendship. But because he does have the identity of Shirou Emiya, we must assume he has feelings for her.